Call us old fashioned, but when you offer a loyalty rewards program, we believe it should be just that, rewarding you for your loyalty. And as a growing, independent business, we appreciate loyalty more than anyone. 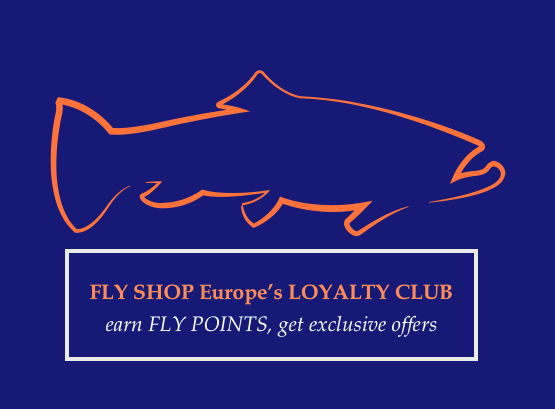 So we created the FLY SHOP EUROPE LOYALTY PROGRAM. It's simple, free, and rewarding. 1. Sign up to a FLY SHOP Europe's account - this automatically makes you a Loyalty Club member. 2. Login each time you shop online to earn points. - more points - special promotions will be announced from time to time on our webpage and social media, stay tuned! On the right side of each page is a tab called "SAVE €60 & More". From there you can access everything. OK, SO WHAT CAN I GET WITH ALL THESE FLY POINTS? other coupons - special promotions will be announced from time to time on our webpage and social media, stay tuned! Loyalty points can only be collected and used for online purchases at www.flyshopeurope.com. Vouchers cannot be paid out in cash. The minimum order value after the deduction of a voucher cannot be lower than EUR 10. Loyalty points are earned for product purchases only and are not earned for shipping charges. In case of other promotions, FLY SHOP Europe may temporarily suspend the loyalty program. You will not lose collected points and vouchers already acquired can be used at any time. By participating in our Loyalty Program you agree to receive notifications regarding your loyalty points balance, earned rewards, etc. *Please note that points cannot be awarded for purchase of products in Sales & Special category, and from following brands: Simms, Scott, Waterworks Lamson, Scientific Anglers, C&F Design, Trouthunter, McLean, Loon, Smith Creek, Smith Optics, Omnispool, Rodmount, Sondergaard. Thank you for understanding. Please note that we reserve the right to make changes to this policy at any time without prior notice or liability. We advise you to check this page often as we may make changes to this policy. If you have additional questions that are not answered here, you can reach us through the contact form or email us at info@flyshopeurope.com. That's it. Join today, it takes less than a minute! ANNOUNCEMENT: Loyalty program will be temporarily suspended from 1 April 2019. Customers with remaining loyalty coupons will be contacted with the information how to redeem them. Products on sales and special offers can be found HERE, check it out regularly as there might be some great deals from time to time!